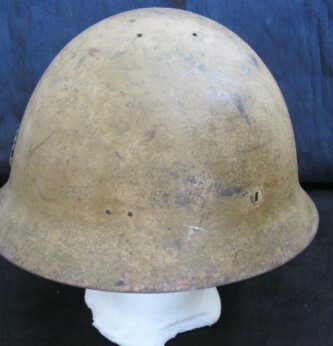 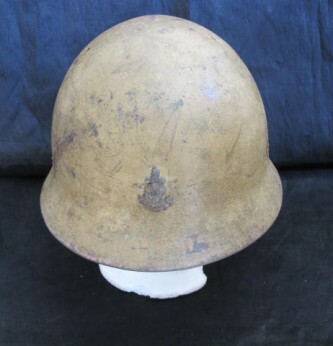 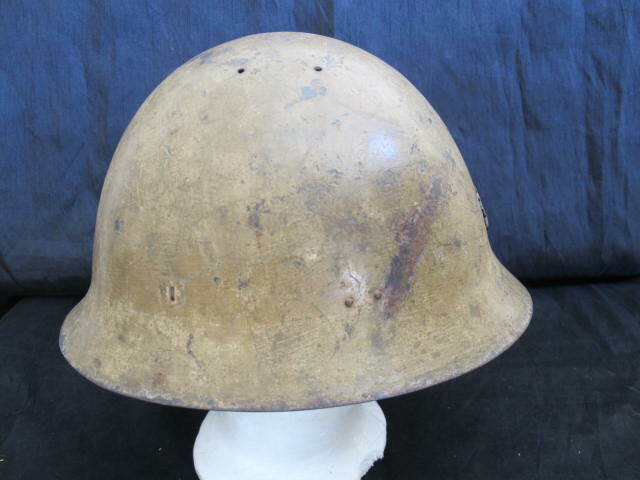 Good condition WWII Japanese marine landing forces combat helmet. 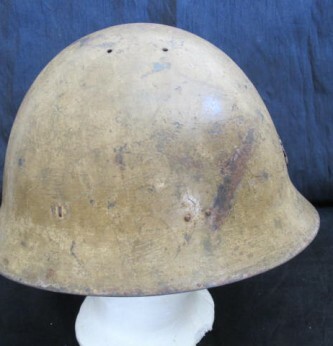 Retains 98% of its original brown paint finish. 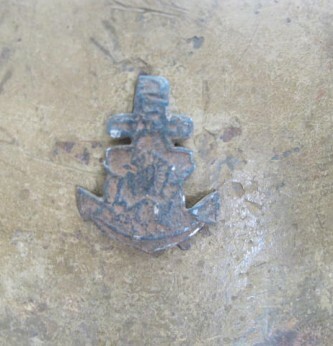 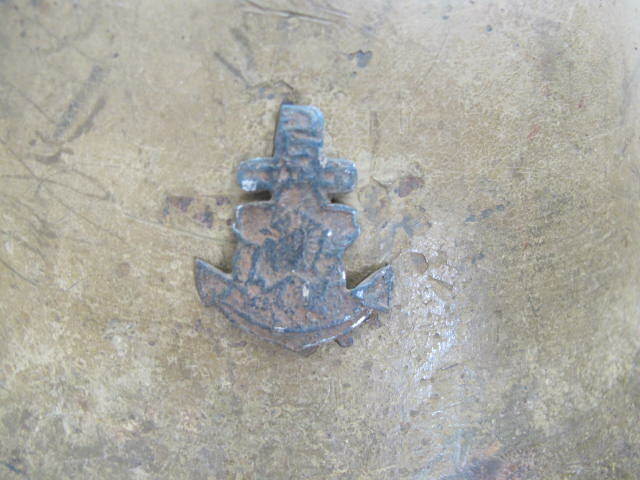 Metal anchor badge to front. 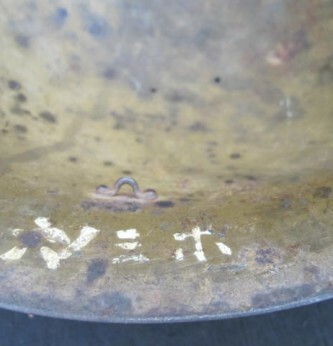 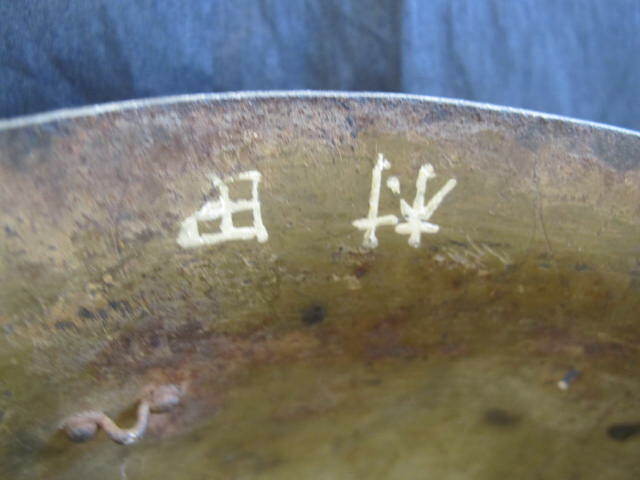 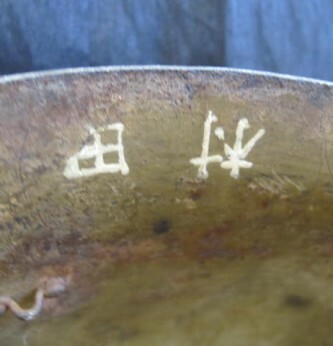 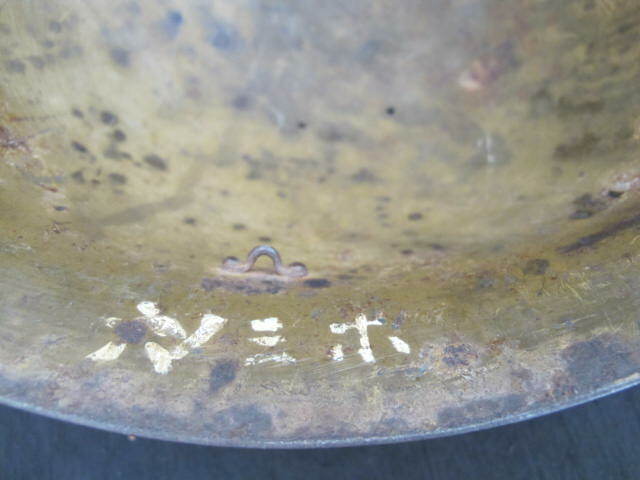 Shell in very nice condition with owners name painted in Japanese symbols to side. 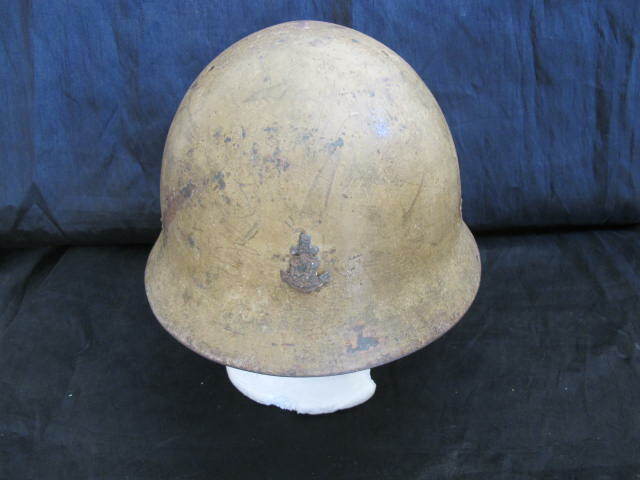 Unfortunately now missing its lining and webbing strap. 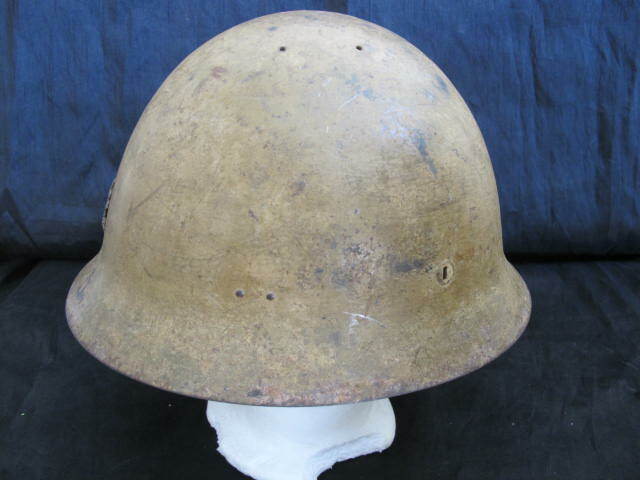 This does not distract from this nice condition combat helmet.